…or so the song goes. Upon looking a little closer, one sees that there are hawks, owls, rodents, deer, bobcats, foxes, coyotes, mountain lions, insects, and a plethora of plant life. 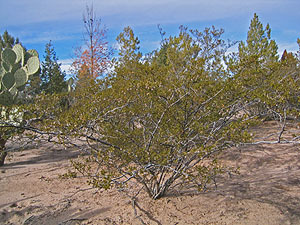 Las Cruces City Commissioner Ron Hudson knew this as early as 1978 and sought to capitalize on it with a regional attraction to be called the Las Cruces Nature Park, which he envisioned as being something like the Arizona-Sonora Desert Museum near Tucson. Alamogordo had its zoo. Las Cruces, the second largest city in the state, Hudson thought, needed a place for families to go, too. 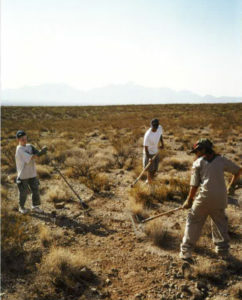 Boy Scouts conduct trail work at the Chihuahuan Desert Nature Park in 1997. Hudson was one of sixteen original board members working on the project. Supporters incorporated as a non-profit in 1990, with a botanical garden foremost in their plans. They considered several sites, two on the West Mesa, another in the bosque of the Rio Grande, and a 240-acre tract of land near the location where former Doña Ana County Sheriff Pat Garrett was murdered in 1908, south of U.S. Hwy. 70. A development plan optimistically proposed opening the park with animals and the initial phase of a botanical garden by 1993. A research center, breeding program, gift shop and restaurant were planned for the second five-year phase. The park to be built during several developmental phases was estimated to cost $10 million, mostly expected to come from government and private grants. Other income was expected from donations and fundraisers. Among these efforts were turkey shoots and the sale of a mountain lion poster the group commissioned. 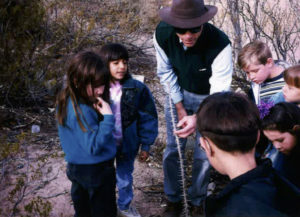 In 1999, Jornada Experimental Range scientist Jeff Herrick works with local school children, inspiring them to learn more about desert ecology. In early 1997, the project underwent a name change. 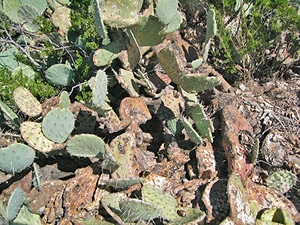 Now the Chihuahuan Desert Nature Park, the board named herpetologist Paul Hyder the park’s first director. Hyder had been conducting educational programs for the park with area schools for five years. 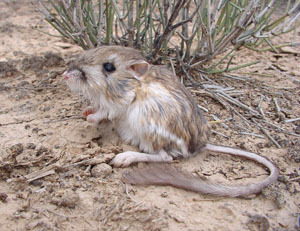 Shortly after this announcement, the park’s location had switched to a 1,000-acre tract of land on the southwest border of and in the possession of the Jornada Experimental Range, a facility of the Agricutural Research Service, a research branch of the United States Department of Agriculture. 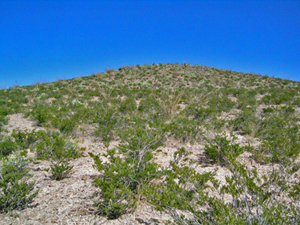 “There was no physical park until they got the Jornada Range site. There was a proposed physical park, physical entity when they were dealing with BLM,” Hudson said. With the Jornada site on the table, the possibility of a mutually beneficial working partnership bloomed. The Jornada had been inviting school children out to learn about science for years. 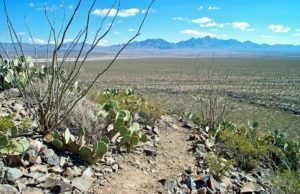 As the Chihuahuan Desert Nature Park’s goals were along similar lines, it seemed like a win-win situation. “One of the things we’re trying to do is present a realistic portrayal of who’s who in the animal world,” Hyder told the Albuquerque Journal in 1997. The public first laid eyes on the site in an open house in June that year. It would require an act of Congress and just over another 10 years, for the site to be officially conveyed to the nature park. 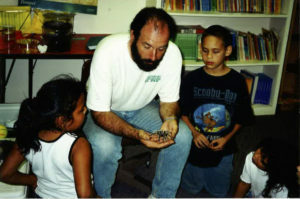 An Asombro educator teaches about tarantulas during a classroom program in the November 2000. Lecture series, benefit concerts, and programs for science teachers ensued. In 2000, the project went buggy. The park’s new director—and first paid staff person— Stephanie Bestelmeyer, and then park science officer Hyder, had the honor of wearing bugs for the media in announcing their Insect Expo 2000. One thousand grade-school students from a dozen area schools registered to learn about insects and arthropods. Park officials continued the buggy business with cockroach races at the annual Renaissance Craftfaire that year. The next year, they had local celebrities eating bugs in the fundraising Bug Banquet. 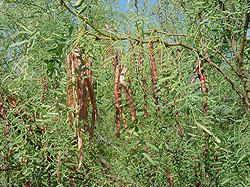 Bestelmeyer, a Ph.D. scientist with experience teaching K-12 students, was hired in January of 2000 and found among her first challenges explaining to the public that while the park remained undeveloped, it followed in the footsteps of the Arizona-Sonora Desert Museum, which started with educational programs. 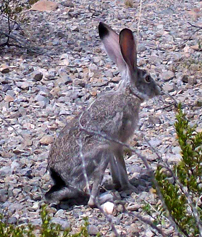 These programs began to be the focus, through the park’s association with the Jornada. They worked with the majority of the local schools, as well as some from Hatch, Alamogordo, Anthony, Canutillo, and El Paso. With the aid of its volunteers, the park then spent 90 percent of its donations, which came in part from the World Wildlife Fund, Chevron, Bridgebuilders Foundation, and the Native Plant Society of New Mexico, on educational programs. 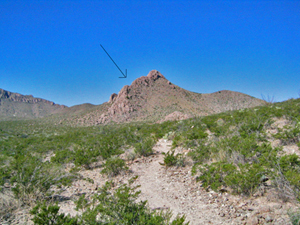 A view from the winding trails of the Chihuahuan Desert Nature Park. 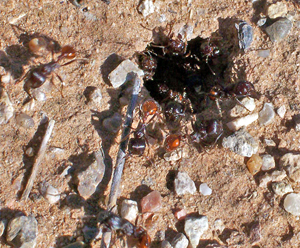 “Financial and volunteer support of individual members is key to the park’s continuing success and eventual site development,” Bestelmeyer told The Las Cruces Bulletin in 2000. Later that year, Bestelmeyer had the opportunity to use a 1,200-sq.-m. parking site for vehicles coming onto the range to repair an oil spill as an experiment site, dividing it into plots for test-plantings of native grass seed. The park had the help of dozens of volunteers, a local scout troop and a little assistance from Chevron to develop the plots. This represented the first attempt at site development for the park and provided a location they planned to use as the first stop for field trips for some 2,000 students each year. The park continued its buggy business, introducing the Butterfly Flutterby in 2002. That year, board president Kimmarie Hartley noted that Bestelmeyer had expanded the number of students it was serving tenfold: from 1,200 to 12,000. The educational programs have continued to expand and improve, for school children and the public, covering such diverse topics as wildflowers, desert nightlife, bats, weather, desert ecology, morning strolls, trail runs, and activities with dogs. 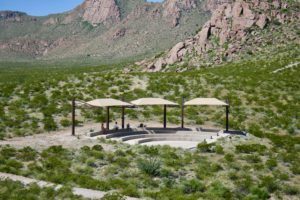 The amphitheater at the Chihuahuan Desert Nature Park was built in 2005. They built picnic tables and shade structures in 2003. The trails have been developed, and an amphitheater was added in 2005. 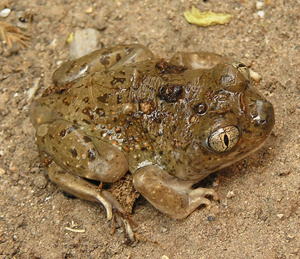 They had a second employee, Rink Somerday by 2004, and finally, in 2008, the 1,000-acre site was transferred to the park—the same year the organization changed its name to the Asombro Institute for Science Education, with the Chihuahuan Desert Nature Park the main venue for its science-based, hands-on educational activities. 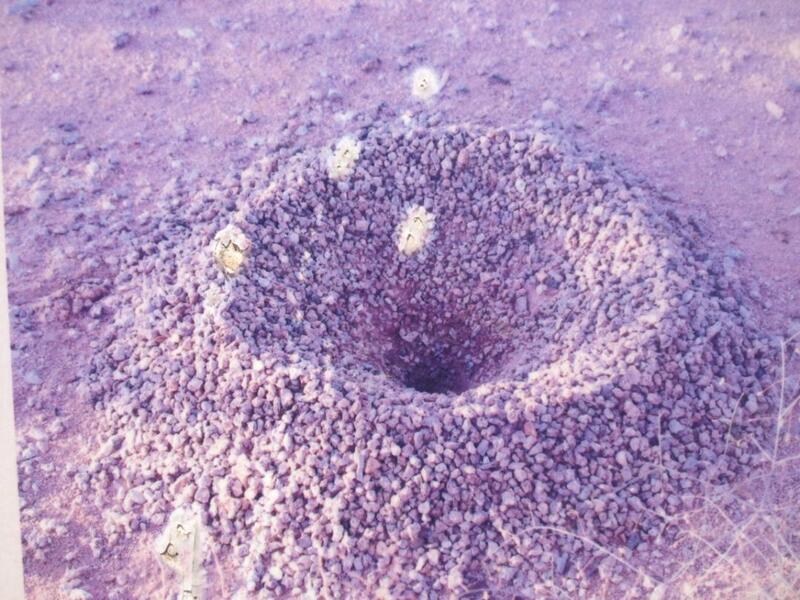 The organization, often described as “a non-profit organization dedicated to increasing scientific literacy by fostering an understanding of the Chihuahuan Desert,” has continued to grow and evolve. 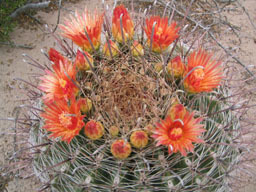 The plans for a zoo, a botanical garden, and a gift shop may have gone by the wayside, but the desert provides. Materials needed for programs that Asombro staff members deliver to students in classrooms, schoolyards, and at the Nature Park, are generously provided, courtesy of Mother Nature. As Hudson originally hoped, the park has become a place where families can go. 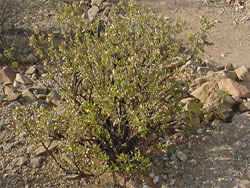 It’s certainly a draw for visitors to the area, a place where they can learn that the desert is not all brown, and it’s not devoid of life. Certainly, with the addition of Asombro’s educational programs for more than 17,000 students each year, the park has become a major asset to the community—and hopefully will remain so for years to come.